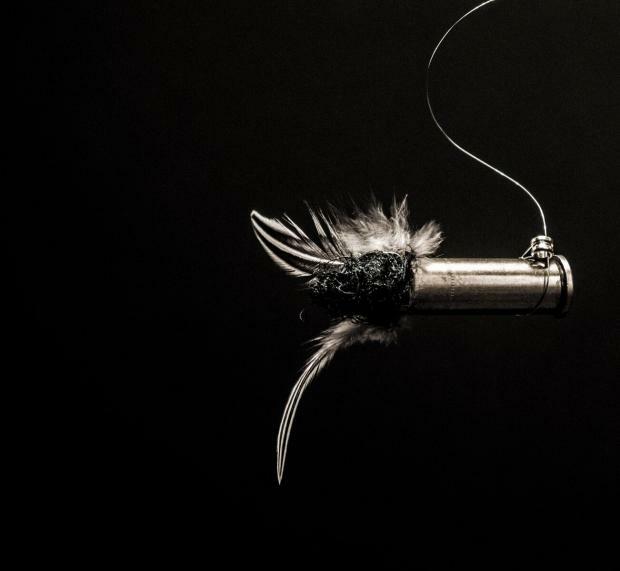 Garland Martin Taylor is selling these flying bullets for anti-violence initiatives. RIVER NORTH — A local artist is taking bullets and turning them into art for sale, with proceeds going to a gun control group. Proceeds from Garland Martin Taylor's latest work will benefit the Illinois Council Against Handgun Violence. The bullets, sold for $100 each, are inspired in part by an old Chris Rock joke about making ammunition more expensive to curb violence. "People like to shoot guns. I understand it. I just don't understand why we keep shooting each other with them," Taylor said. David Matthews talks about Garland Martin Taylor's new art exhibit. The new piece on display at the Weinberg/Newton Gallery, 300 W. Superior St., is a follow-up to Taylor's "Conversation Piece," a massive 400-pound handgun he took around the country last summer. 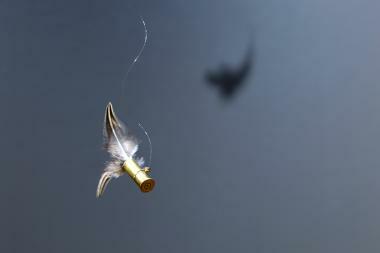 While the gun represented the causes of violence, Taylor's new "flying bullets" could be interpreted as its chilling effects. "I want [viewers] to have some empathy for folks less fortunate than they are: Folks who actually have to dodge bullets in neighborhoods," he said. 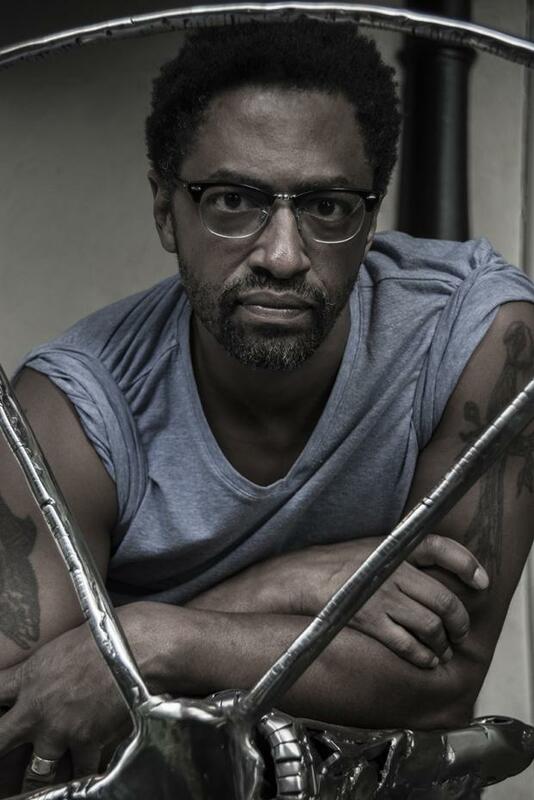 "I wanted it to be about bullets flying through the neighborhoods." Taylor, of Hyde Park, has been collecting bullets and shell casings for years. He added feathers and curled guitar string around the casings to give them a flying aesthetic (think the zig-zaggy lines around flies in cartoons). And there's another ingredient: Taylor's hair. He sheared his locks this spring to give a piece of himself in the art. The hair "deals with identity, it deals with death, it deals with a whole community; but at the same time it can come right back around to the artist's vision," Taylor said. "There's always more than one way to think about these objects." The piece is part of "This Heat," an exhibit on rising violence running through Sept. 24 at the River North gallery. Taylor will speak on his work Aug. 11 at the gallery.